John V. Soltes, editor of The Leader, did a wonderful profile of Harrier Meadow in the current issue: "In the Valley of the Birds." We happened to get this photo of a Cooper's Hawk taking off on John's visit. We shot this photo late one rainy day last week of a distant duck. We were thinking it was a Blue-winged Teal, but a sharp-eyed reader suggested a female Greater Scaup. (Sounds good to us; thanks, Rosemarie.) Any other theories? Other Tuesday Teasers are here. 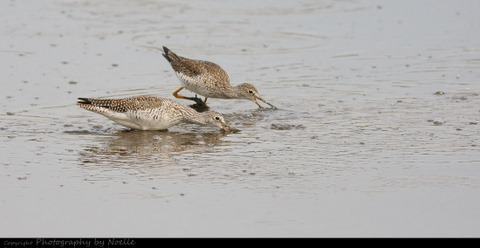 As we get into bird-banding season, we'll try to ramp up this feature again. 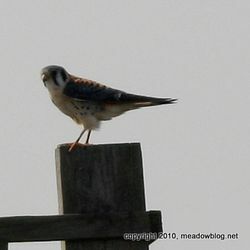 Where is the best birding spot in all of the Meadowlands? 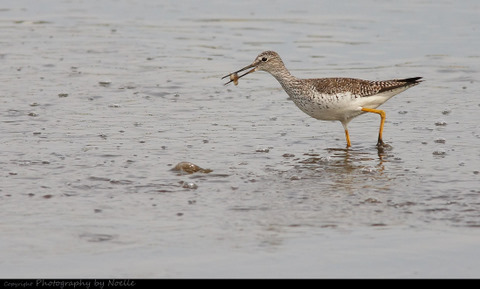 For most people, several spots managed by the Meadowlands Commission come to mind – from Mill Creek Marsh in Secaucus to DeKorte Park in Lyndhurst to the Kearny Marsh. But for the past few months, a little-known two-lane road named Disposal Road just might hold the crown. Ron Shields photographed this tagged Ring-billed Gull at the Kearny Marsh on February 5, and asked us recently what the tag meant. We gave him the following information, and here's what he learned. 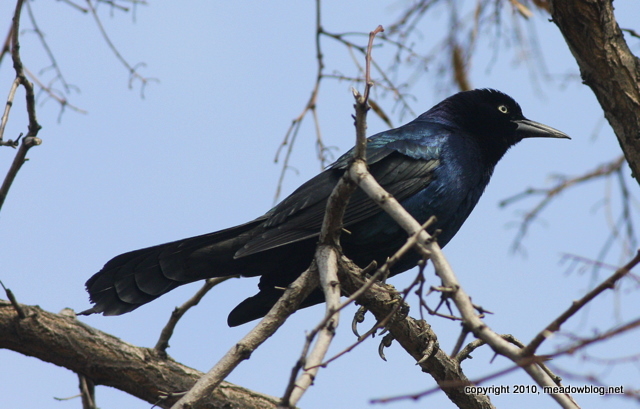 -Boat-tailed Grackle–male continues–seen/hear in 2nd parking lot of HMDC. Our First-Sunday-of-the Month Walk on April 4 with Bergen County Audubon Society has been moved to DeKorte Park because of major storm damage to the other site. 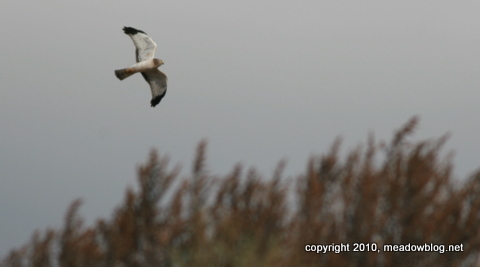 What's more, we have added a walk on Sunday, April 11, to Harrier Meadow. Both walks begin at 10 a.m.
A brief walk after lunch yielded no Bald Eagles, but we did get a Boat-tailed Grackle by the Administration Building, and an American Kestrel on the DeKorte Park Osprey Platform. The Grackle was making an incredible racket — heard it from 50 yards away. A full complement of ducks is still hanging out in the impoundments.